Kalyn Ponga would want to play for the All Blacks if he moved to rugby union. KALYN Ponga has expressed a desire to return to the code he made his name in and play for the All Blacks. Ponga became a YouTube sensation when a video of him playing high school rugby union for Churchie went viral. 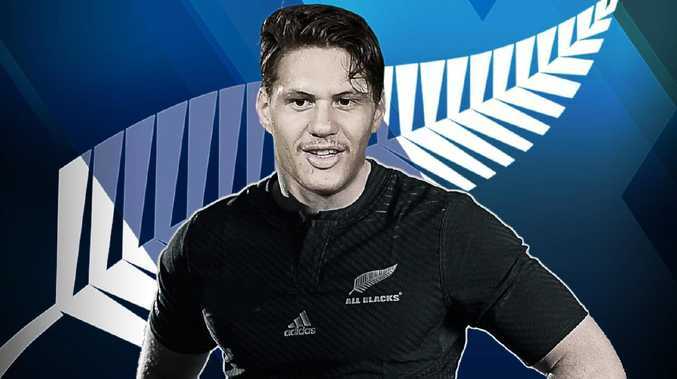 While Ponga is content carving up the NRL for the time being, he definitely could see himself in an All Blacks' jersey down the line. "Obviously that would be a huge goal, if I was to come back to union," Ponga said. 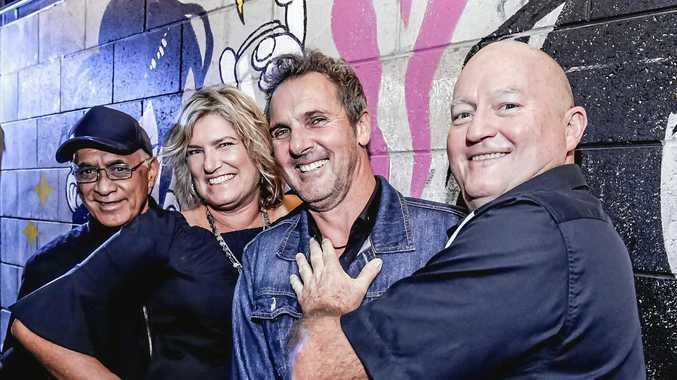 "I'm not too sure what my future is going to hold and whether I'm going to stay in league or change codes, but if I was to go back to union, I would want to strive for that black jumper. "I think it's the pinnacle. They are the best sporting organisation in the world, the stats have showed that. "The way they hold themselves and their values and it's just the little things that they do that make them that step above everyone else. "To put that jersey on would be pretty special." 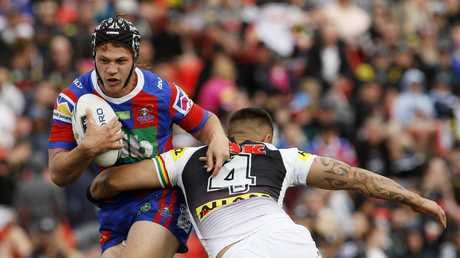 Kalyn Ponga in action for the Knights against the Panthers. However Ponga reaffirmed his commitment to the Knights and said he would honour his current deal to stay in rugby league. "I've got three years with my contract with the Knights and I've got some things I want to achieve in that time. "I don't know what is going to happen at the end of that, but playing at the pinnacle is the goal. "I've always wanted to be the best or somewhere there abouts, so we will have to wait and see."